Scarves are always in fashion, no matter the season, but especially in the colder weather. Possibilities are endless. 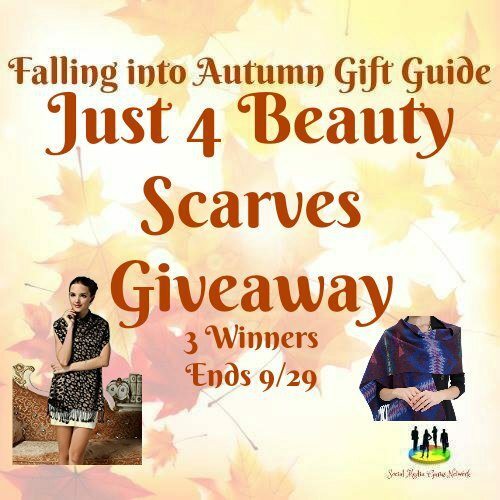 Check out these Just 4 Beauty Scarves. Buy the ones you want and then enter the giveaway to win more for yourself or to share! The holidays are just around the corner!